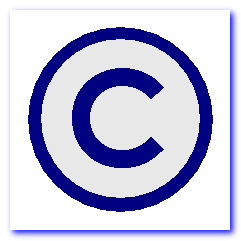 For Faculty: Check out the Copyright Research Guide! The Copyright Guide focuses on the basics of copyright, fair use, ethical use of images, and websites that will assist you in correctly using materials for your classes. Factor 1 – The Purpose of Your Use – Do you seek commercial gain, or are you using these for scholarship, teaching, or writing a paper? Factor 2 – The Nature of Your Use – Characteristics of the work itself are important in looking at fair use. Are you using a very highly creative work? If so, the judgment might be against its use as fair use. Factor 3 – The Amount of the Work You Use – Are you trying to use an entire book, a chapter, or an art image? Factor 4 – How the Potential Market for the Work Will Be Impacted by your Use – If you copy 100 book chapters, that is 100 copies pulled from the market. If you have questions about copyright, please contact Jerry Mackay, Associate Dean of the Library, at 847-214-7595. Just in time for the new semester, we have created a Copyright Guide focusing on the basics of copyright, fair use, ethical use of images, and websites that will assist you in correctly using materials for your classes. If you have questions about copyright, please contact Jerry Mackay, Associate Dean of the Library, at 847-214-7597. Need to find pictures and images that you can use in a presentation or on a blog? For a guided overview of this topic, see our Copyright Research Guide. Harvard Law School Guide to Finding Public Domain and Creative Commons Images: This guide has a great list of all the places you can go to search for images that you can use that are in public domain. Google Images Advanced Search: Use this search and choose Usage Rights toward the bottom of the page to find images that can be reused. Getty Images: Offers access to over 35 million photographs. If you have questions regarding copyright and images, please contact the library for assistance.